Disneyland. The place where dreams come true, children run around freely and scream with excitement and joy, a place where characters walk around and make wishes come true as children run up to meet them. This is a place labeled “the most happiest place on Earth” because of the excitement and pure joy that is contained within it. Is it, though? Just like every other theme park in this world, Disneyland has some dark secrets that the people running the park don’t want others to know. 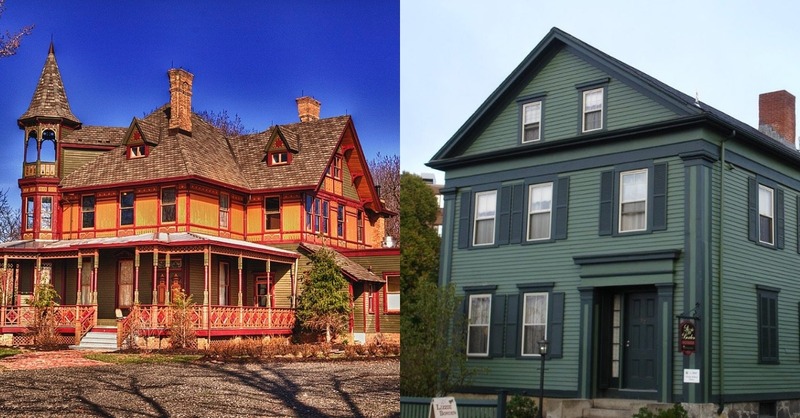 There are a multitude of urban legends and ghost stories that come from the most happiest place on Earth, but the real question is: are they real or not? The circle highlights the real skull and crossbones on this infamous Disney ride. We are all familiar with the 90 second ride at Disney that inspired a series that dominated box offices each time a movie was released. This fun fill ride with pirates, though, isn’t as fun as you may think it is. After passengers of this ride travel through various pirate ports, so to say, a pirate sitting on a bed says farewell to all of the passengers. What’s so bad about that? This ride is full of pirates and skeletons! 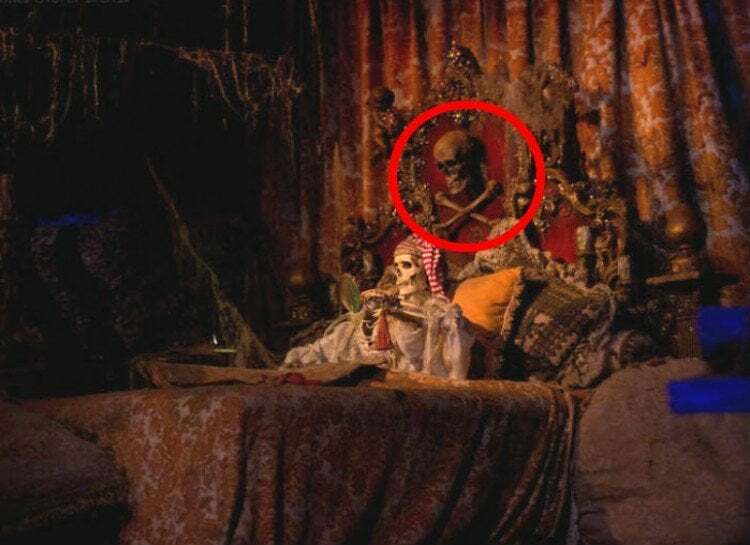 Well, while those may be fake, the pirate that bids you farewell uses a real human skeleton head. 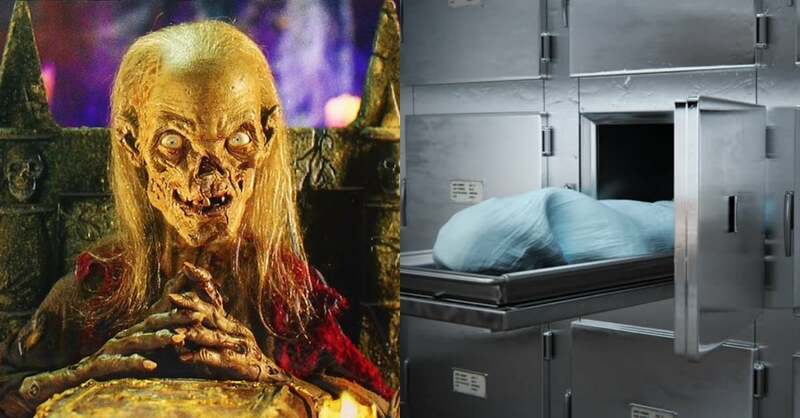 The person who the remains belong to have never been made public, but it is creepy and eerie to know that Disney uses a real skull in one of their most iconic rides. 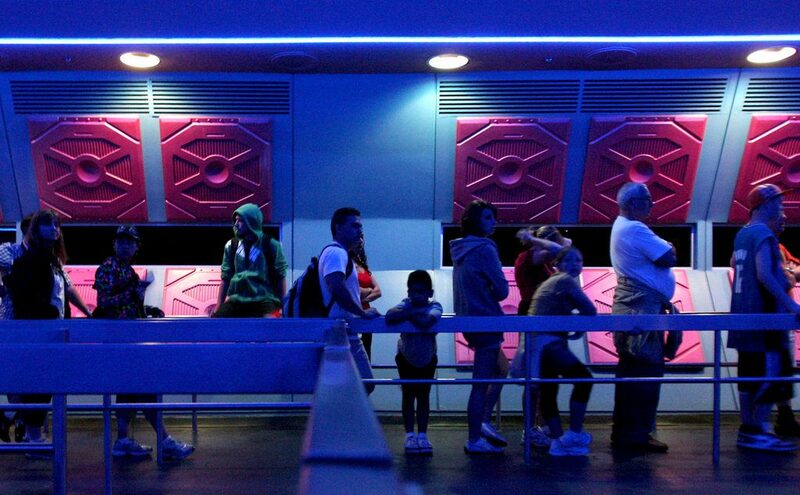 Visitors waiting anxiously to ride Space Mountain- and maybe hoping to meet Mr. One Way. This story about Space Mountain is downright creepy when you think about it. This is a story about a ghost of a passenger who died on the ride and has some dark irony to it. The ghost was given the name Mr. One Way because of his “one way” entry on the ride. People speculate that the passenger passed way in the 70’s or the 80’s, making it one of the haunted rides at Disney. It is rumored that this ghost gets on the ride with passengers and disappears before the ride is over. One of the sections inside The Haunted Mansion. Yes, you read that correctly. There is a rumor that there are actual human remains in The Haunted Mansion ride. 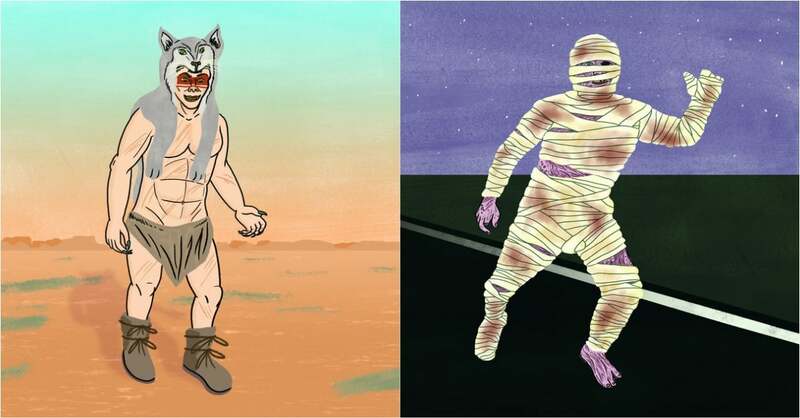 People are familiar with waiting in line and passing a graveyard as they enter the ride, but no one knows that human remains are just ahead of them. The rumor was turned into a fact because people admitted that they would go on this ride and spread the cremated ashes of loved ones along the track of the ride. They said they did this because they wanted to give the ride the infamous 1,000th ghost. People who work on the ride tell the passengers to not do this because of the clean up they have to do, and well, it’s just down right creepy. People who do this, though, ignore what the ride operators say and over the past few decades people continue to say goodbye to their loved ones while they ride through The Haunted Mansion. Tom Sawyer’s Island where an older boy drowned while swimming. 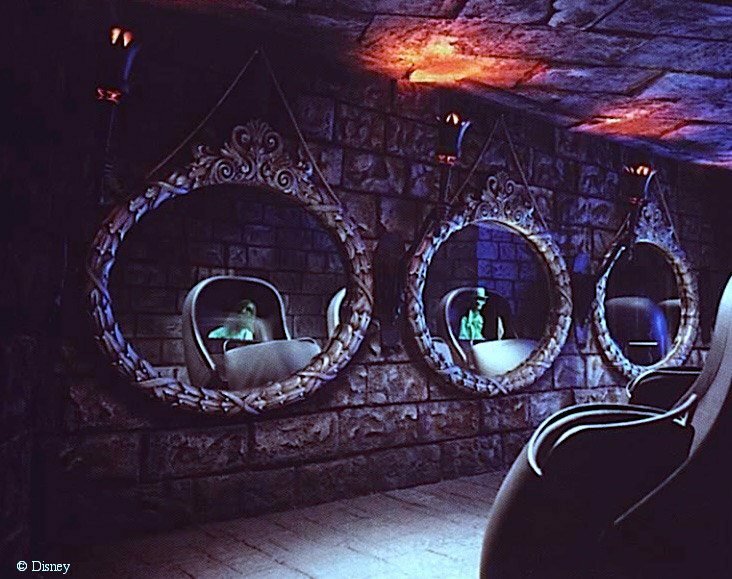 The ghost on this ride has been proclaimed as not scary at all, but what makes people cringe and have their spine tingle with fear is the haunting backstory associated with this ghost. 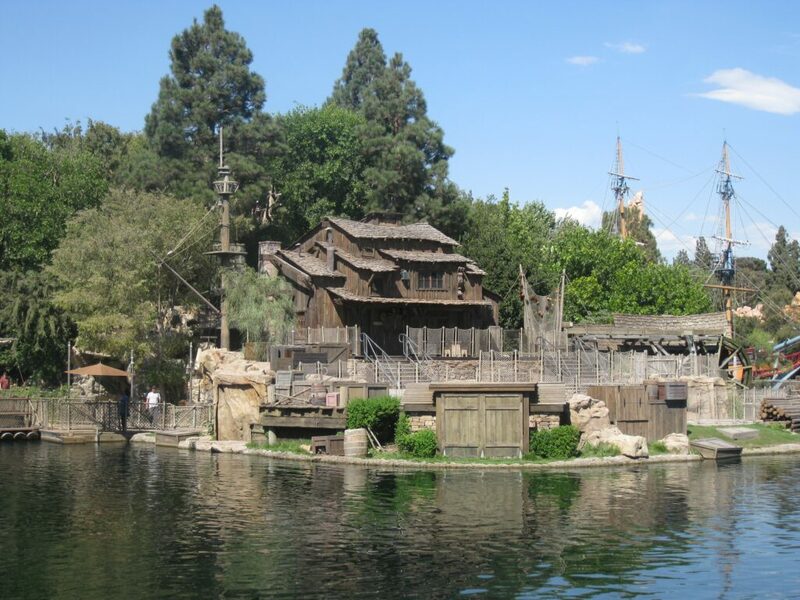 As the story is told, two boys decided to say at the park hours after it closed and went for a swim in the pond that separated Tom Sawyer’s Island from the main park. Unfortunately, though, the older boy of the two drowned during their late night swim, making people report that they have witnessed strange ripples and splashing in the water late at night. 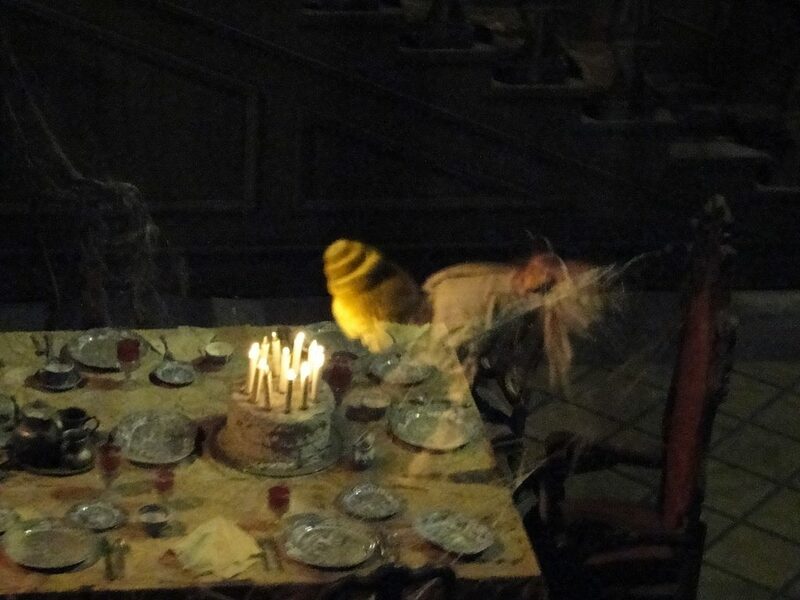 A ghost part of the ride that can be seen trying to blow out candles. Going back to The Haunted Mansion, people exclaim that they hear a crying boy inside of the mansion. 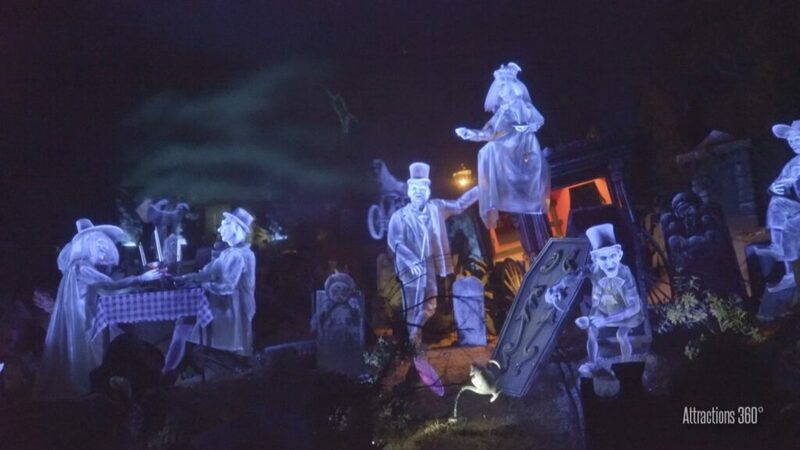 As previously mentioned, people both in California and Florida take the liberty to spread their loved one along the track of the mansion ride, making it one of the most ghost filled attractions at Disney. One woman, though, dropped the ashes of her loved one at the end of the ride a long while ago, leaving passengers to see and hear a crying boy at the end of the ride. People also tell the story of how the same boy that is in The Haunted Mansion could also be seen on the Pirates of the Caribbean ride. 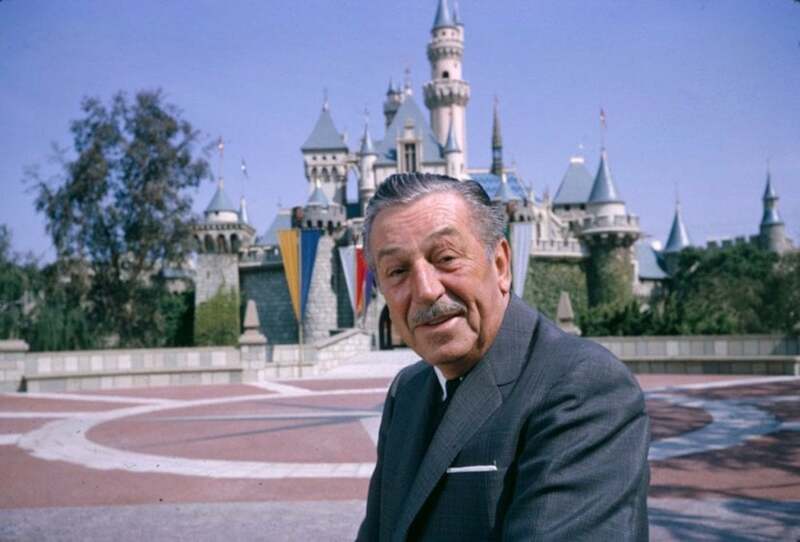 The famous Walt Disney at one of his parks. Yes, the mastermind behind all things Disney is rumored to still be lurking around his parks. The story associated with Walt, though, is more chilling than you may think. 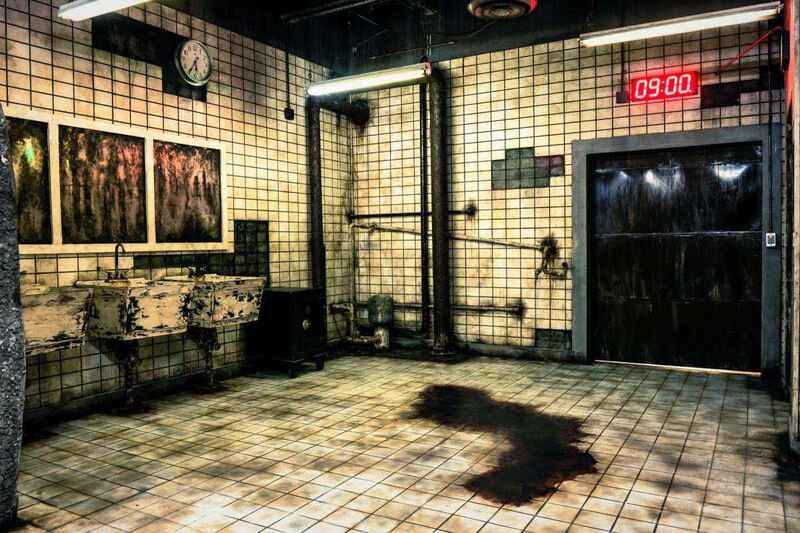 Some cast members of the park claim that they could see the light on in his apartment after the park closes, and one cast member even claimed that they heard a ghostly voice say “I am still here”. This voice made the cast members to permanently leave his light on in his apartment as an ode to him and to appease his lingering spirit. 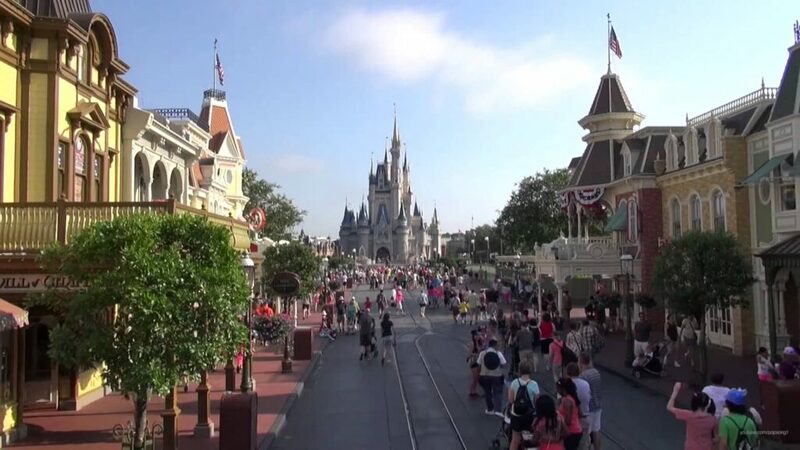 Main Street in Disney- one of the most popular places to go and where the woman in white can be seen. It appears that in every region of this world, there is always a woman in white waiting for her next victim to scare. People have claimed and reported that they see a woman in white throughout the parks and say she is benevolent. Some of the stories circulating this woman in white is that she is spotted along Main Street where she helps children who become lost find their way to Guest Services so their families can find them. Even though people are afraid of ghosts and get easily scared by them, this particular woman in white seems to offer a helping hand to those in need at Disney. 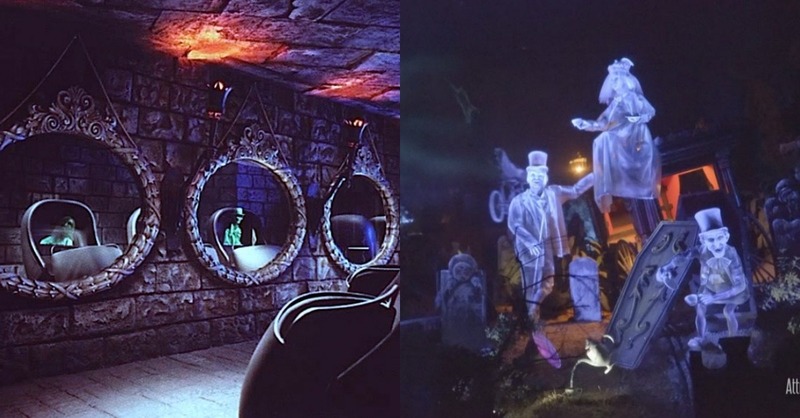 Another section of the ride where you can see ghosts in a graveyard. Yep, you guessed it. Another story circulating The Haunted Mansion. Are you that surprised, though? This is the most ghost filled attraction, of course, and has the ashes of loved ones spread around it. However, tourists of Disney claim that Disney tries to hide the hundreds of deaths that occur there to keep up the good reputation it has. According to a rumor, a man became so scared of the Haunted Mansion ride that he sadly suffered a heart attack and died before the end of the ride. 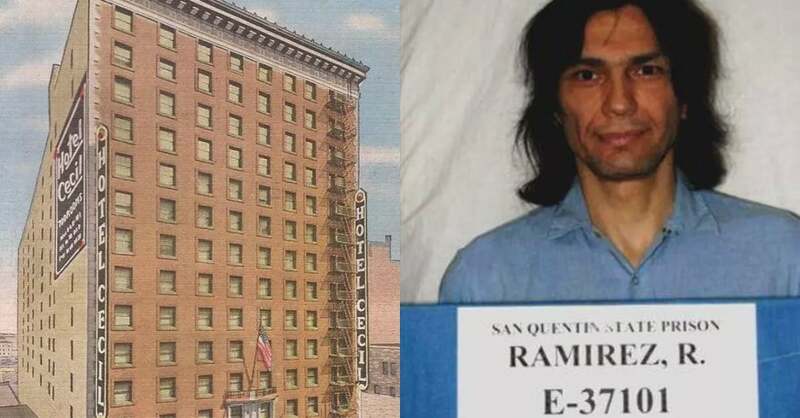 People started to speculate and believe that he is now a permanent “guest” at the mansion and that he lurks around the halls. 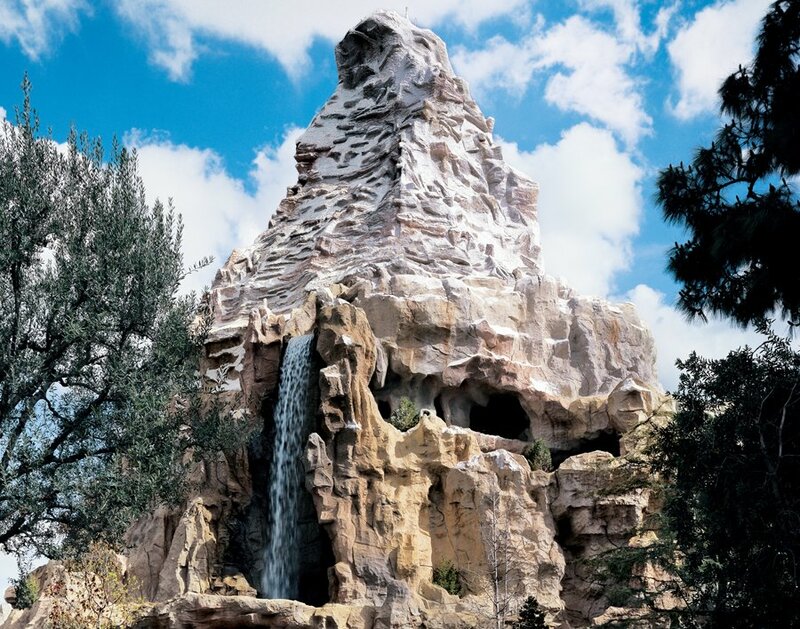 What the Matterhorn ride looks like. Dolly Young was enjoying her trip to Disney and was loving every single ride she went on. She enjoyed the thrill of them and wanted to experience as much as she could while she was there. In 1980, though, she went on the famous Matterhorn ride and was horrifically killed on the ride as she was thrown out of her bobsled and killed by the oncoming one. People who investigated her death are still questioning whether she intentionally unbuckled her seat belt and fell off of the ride or if her belt malfunctioned, making her meet her unfortunate death. Cast members, though, claim they have seen her spirit and that she still lingers around the ride to this day. People have reported that they hear strange sounds as they do their final walk throughs of the ride after the parks close at night and others report that they refuse to go near the entire area of the ride. 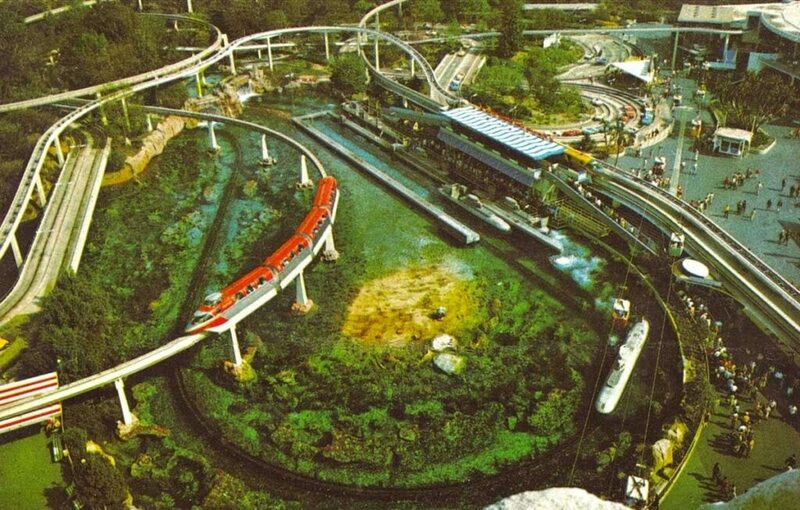 The monorail layout in Disney. The monorail is great for those who are trying to hop from park to park, but the death stories that are linked to the monorail are plenty and sad. One unfortunate story about a monorail death is about a boy who was just about to graduate high school and made a poor decision on the monorail. One night, he tried to sneak into the park by running along the monorail track, thinking it was the safest way for him to achieve his mission, but when security spotted him, he took off running and was unfortunately killed by an oncoming monorail. Visitors and staff of Disney report that they continue to see his spirit running along the track of the monorail. Disney is filled with amazing rides, beautiful scenery, thousands of guests each day, and plenty of food. 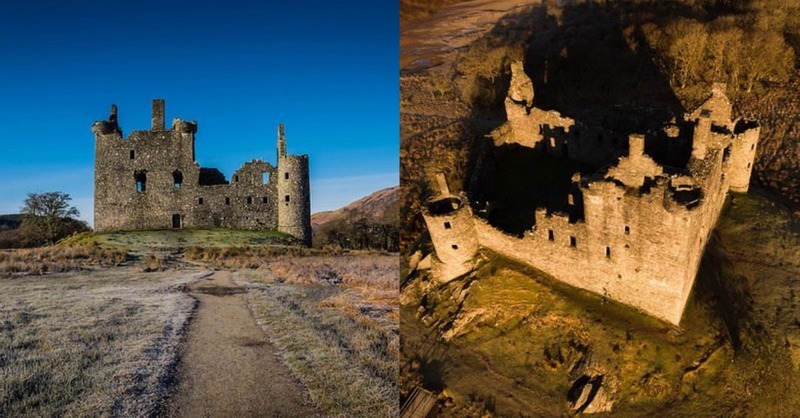 It attracts people from all over the world and has plenty to offer for the adventurous soul. There is a dark side to it, though, and the next time you go to Disney keep your eye out for some ghosts. You never know if you will come across one and judging by all the rumors and stories of ghosts lurking inside of Disney, you may be in luck if you go there. There could always be one sitting next to you the next time you go on a ride.